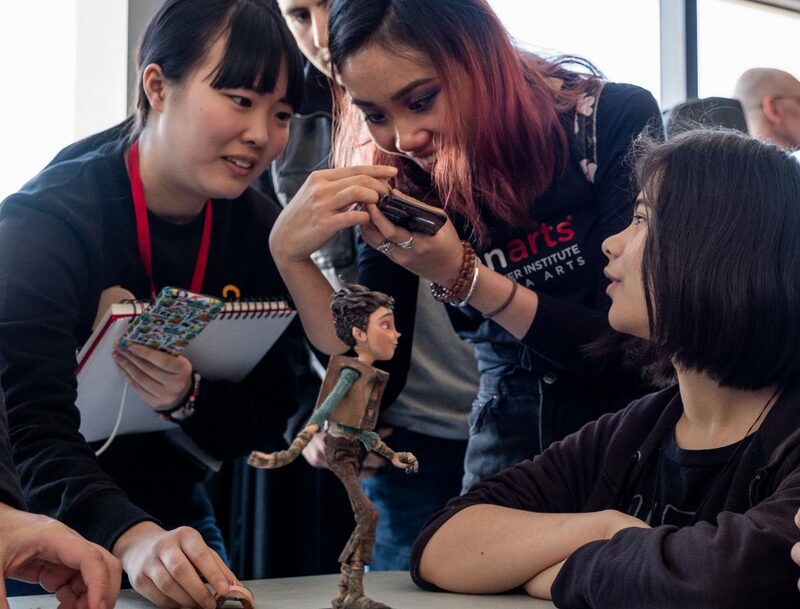 On Friday, March 29, VanArts was honoured to welcome LAIKA Animation Studio‘s Graham Annable back to our campus for a presentation and Q&A session with our students. 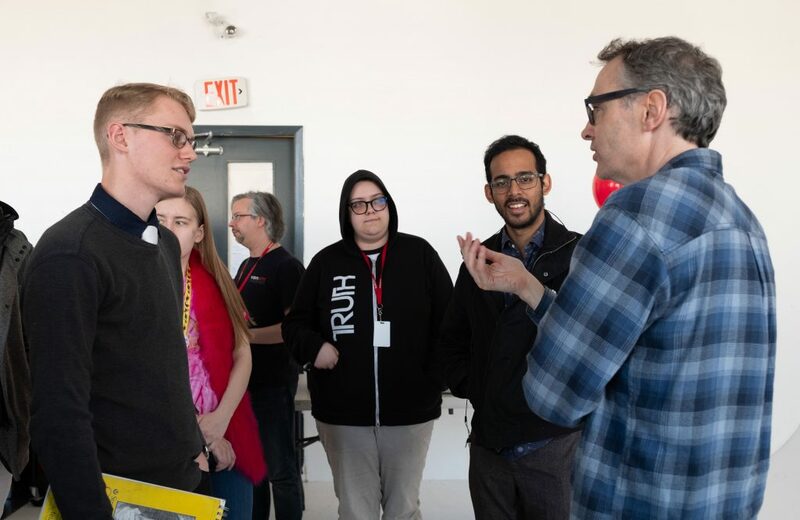 Graham first visited us back in 2017 by invitation of our Head of Character Animation Wayne Gilbert, through their shared history studying at Sheridan College, playing hockey, and working respectively at companies started by George Lucas (LucasArts & ILM). Graham Annable is a story artist at LAIKA, and served as director (alongside Anthony Stacchi) on their Academy-Award nominated feature The BoxTrolls. 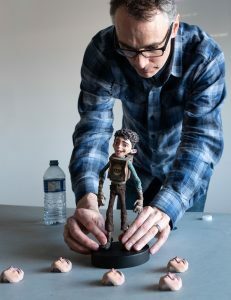 He has created storyboards for all of LAIKA’s features, including Coraline, Paranorman, Kubo and the Two Strings, and their upcoming Missing Link, coming to theatres April 12th! Prior to his work at LAIKA, Graham worked on A Goofy Movie for Walt Disney Animation Studios and at LucasArts and Telltale Games, on game titles such as Star Wars Episode III: Revenge of the Sith, Curse of Monkey Island, and Bone. 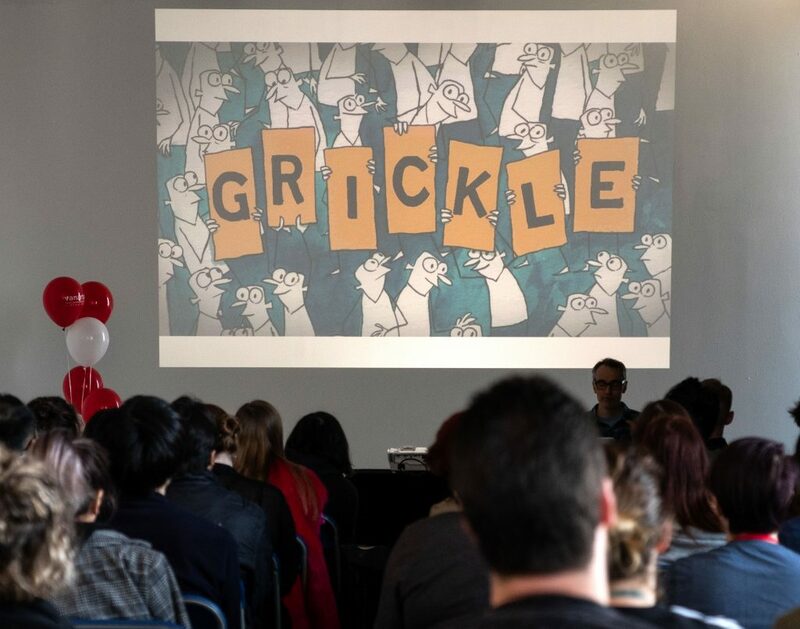 He is also known in the world of comics as the creator of Grickle, through cartoons on YouTube and books published by Alternative Comics. 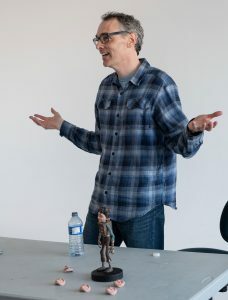 Another highlight of Graham’s presentation talking about his career in the industry was another special guest, in the form of “Eggs,” one of the stop-motion puppet characters from The BoxTrolls. 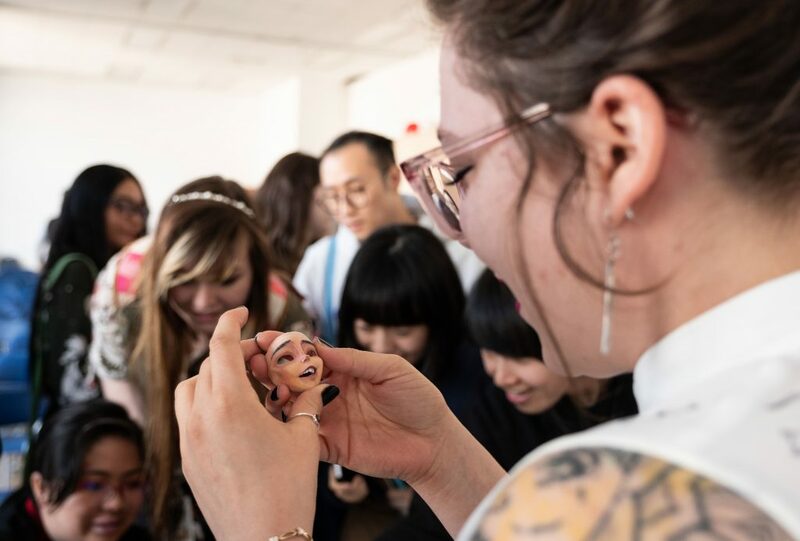 Students had a blast getting up close and personal with this miniature movie star, phones a-flashing! Built around a solid metal armature that can hold its position, animators bring Eggs to life by moving him in tiny increments 24 times for every second of film. His facial movements are captured by pre-animating expressions in CGI, and printing out every frame of that animation into facial masks on a 3D printer. Thousands of faces, tests, and man-hours are needed to bring these puppets to life, and Graham shared with us all of the intricate details of this kind of movie-making, from storyboards to sets & animation. Check out Missing Link on April 12th! © 2019 Vancouver Institute of Media Arts. All rights reserved.